Patrick Kennedy (69), with an address at South Earl Street, Dublin 8, pleaded guilty i​n October​ to the unlawful possession of a .455 Colt model “New Service” revolver and a .455 Calibre Webley Mark 6 revolver bearing serial number 324736 at James’ Street, Dublin 8 on September 14th, 2013. At today’s sentence hearing, Detective Sergeant Padraig Boyce​, of the Special Detective Unit,​ summarised the facts of the case. ​The court heard today that ​Yeung had travelled from Limerick to ​Dublin on the day in question ​and was seen by gardai on James St.
​A ballistics examination showed that one of the firearms was rusted but functional and that the other did not work. ​Det Sgt Boyce agreed with Bernard Condon SC, for Kennedy, that the weapons were old. Mr Justice Tony Hunt, presiding, sitting with Judge Patricia Ryan and Judge ​Ann Ryan​, remanded Kennedy on continuing bail until January 22nd, when he will be sentenced. A man charged with murder and IRA membership was refused bail at the Central Criminal Court this morning. Kevin Braney (43) with a last address at Glenshane Crescent, Tallaght in Dublin is charged with the murder of Peter Butterly, a 35-year-old father of two who was shot dead on March 6, 2013 outside The Huntsman Inn in Gormanston, Co Meath. 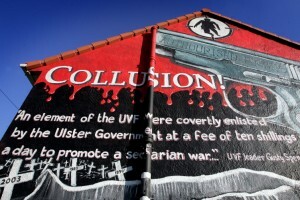 Mr Braney is further charged with membership of an unlawful organisation styling itself the Irish Republican Army, otherwise Oglaigh na hEireann, otherwise the IRA on March 6, 2013. John Berry BL said the State was objecting under Section 2(A) of the Bail Act. The Act allows an objection to bail based on fears that the applicant will commit a further serious offence if released on bail. Evidence was given by Detective Chief Superintendent Anthony Howard. Mr Justice Patrick McCarthy said he would refuse bail on the basis that refusal is reasonably necessary to prevent a serious crime. Books of evidence were served on five men in connection with the case before the non-jury Special Criminal Court this morning. They were Michael McDermott (58), of Riverdale House, Garrymore, Ballinagh, Co. Cavan, who was one of the men charged with the actual killing of Mr Butterly outside the pub that day. 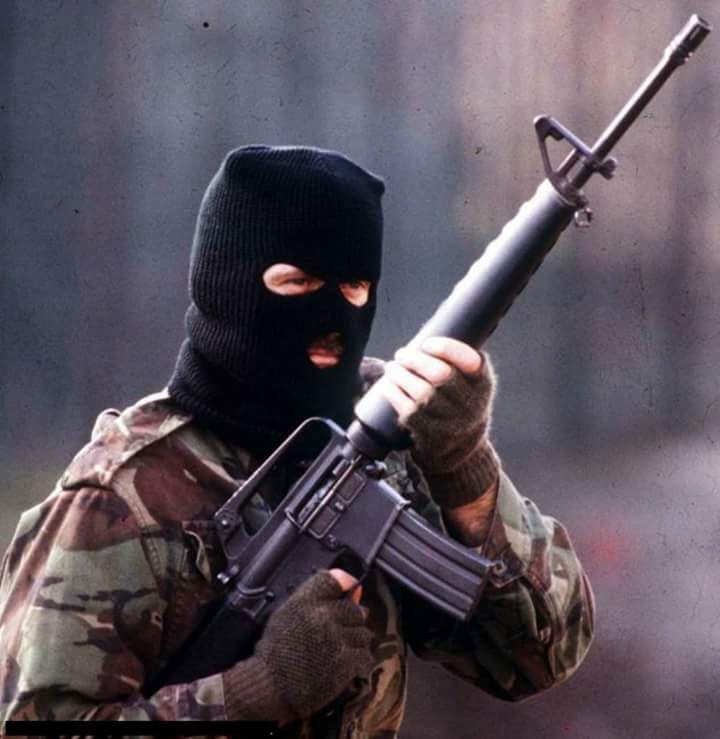 Secondly, he is charged with membership of an unlawful organisation styling itself the Irish Republican Army, otherwise Oglaigh Na hEireann, otherwise the IRA on the same date. He is also charged with possession of a 9mm Beretta semi-automatic pistol with the intent to commit murder and the possession of seven rounds of 9mm ammunition on March 5, 2013 at Blackthorn Apartments, Brackenwood Avenue, Balbriggan, Co. Dublin. Kevin Braney (43) with a last address at Glenshane Crescent, Tallaght in Dublin is also charged with Mr Butterly’s murder. 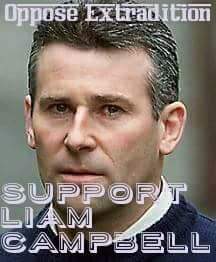 He is further charged with membership of an unlawful organisation styling itself the Irish Republican Army, otherwise Oglaigh na hEireann, otherwise the IRA on March 6, 2013. He is also charged with the possession of a 9mm calibre Beretta model 9000s semi-automatic pistol and the possession of seven rounds of 9mm ammunition with the intent to commit murder on March 5, 2013 at Blackthorn Apartments, Brackenwood Avenue, Balbriggan. Frank Murphy (58), of McDonough Caravan Park, Triton Road, Bettystown, Co. Meath is the third man charged with Mr Butterly’s killing. He is also charged with possession of a 9mm Beretta semi-automatic pistol with the intent to commit murder and the possession of seven rounds of 9mm ammunition on the same date. 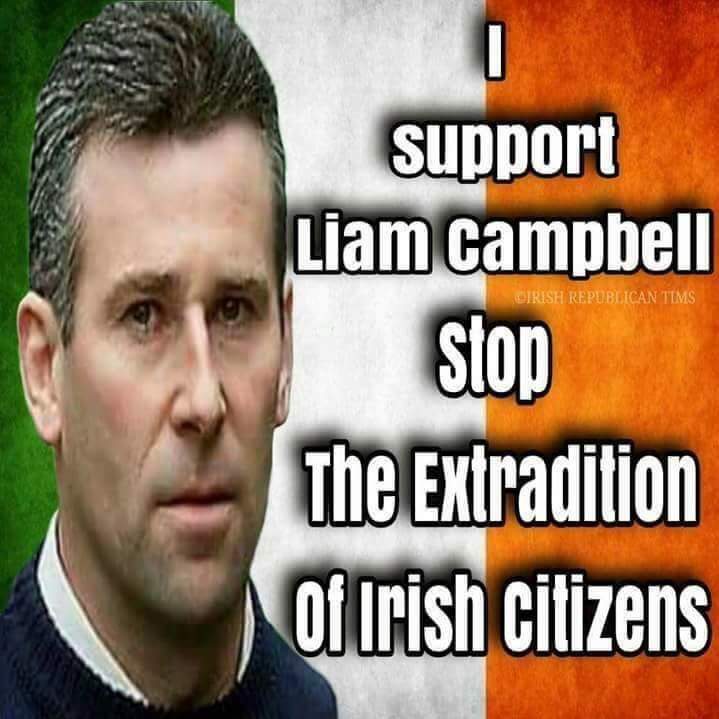 He is further charged with membership of an unlawful organisation within the state, namely Oglaigh na hEireann, otherwise the Irish Republican Army, otherwise the IRA at the time. Laurence Murphy (60), a brother of Frank Murphy and also of McDonough Caravan Park, Triton Road, Bettystown, Co. Meath is charged with membership of an unlawful organisation within the state, namely Oglaigh na hEireann, otherwise the Irish Republican Army, otherwise the IRA on March 6, 2013. Ray Kennedy (38), of Whitestown Drive, Blanchardstown, in Dublin is also charged with membership of an unlawful organisation styling itself the Irish Republican Army, otherwise Oglaigh Na hÉireann, otherwise the IRA on March 6, 2013. Ms Justice Isobel Kennedy, presiding with Judge Sinéad Ni Chúlacháin, Judge Cormac Dunne set at trial date for 2nd October 2018 for all five men, noting that the estimate for the duration of the trial was up to ten weeks. She extended legal aid to cover a second junior counsel for each man, on hearing of the volume of paperwork in the case. 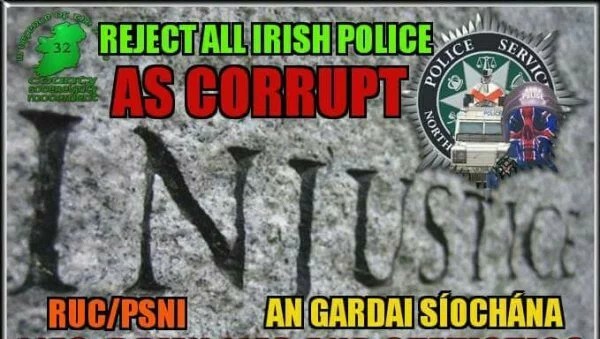 Trail collapses – After Gardai threaten Lithuanian on “dissident republican” charges, “tape revealed” in court on 20th March. A trial at the non-jury Special Criminal Court has collapsed after it emerged the accused taped a conversation in which gardai told him that his partner would be arrested and his child would go in to care if he did not accept responsibility for other charges. 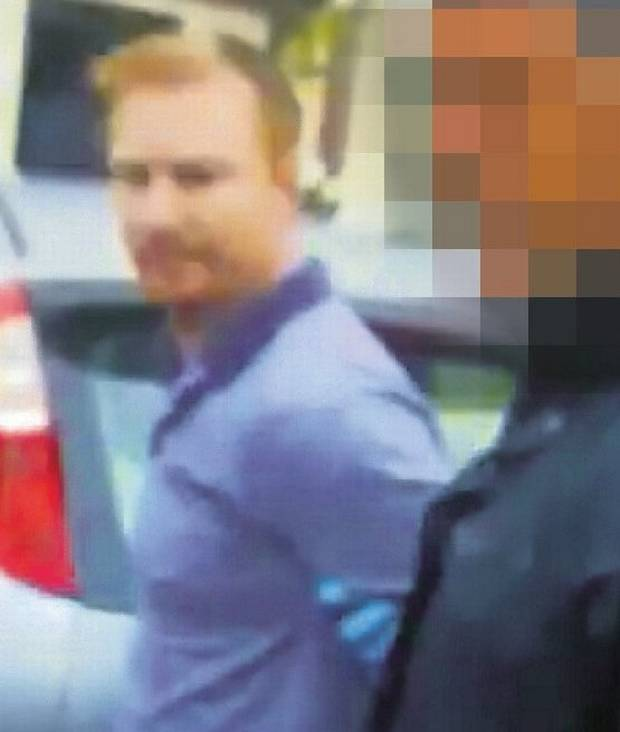 Eimantas Valteris (33) was arrested by gardai in 2013 as part of an ongoing operation to counter dissident republican activities in the border area. He was the first Lithuanian to stand trial at the Special Criminal Court. The prosecution decision not to proceed with the trial came after the court heard a “voir dire” or trial within a trial. During the voir dire, the Special Criminal Court was played a taped conversation between Mr Valteris and two gardaí, one of whom was Detective Sergeant Padraig Boyce of the Special Detective Unit. Det Sgt Boyce accepted under cross examination by Hugh Hartnett SC that he was one of the two gardaí on the tape, which was made by Mr Valteris during an encounter he had with them after his initial arrest. During the playing of the audio in court, the gardaí were heard telling Mr Valteris that “we’ll look after you” if he accepted responsibility for three other firearms and four silencers. The gardaí told him they knew the items were a “batch of four”. The gardaí told Mr Valteris that his wife had been in a particular premises removing rubbish for about 30 minutes. Mr Valteris was told that if he did not accept responsibility for the other items then the gardaí were would be “directed” to arrest his wife. “If you don’t take responsibility, she’ll be next”. Mr Valteris was told by the gardaí that if his partner was arrested then their child would “go into care”. He was told that he was “digging a hole to put your missus” in if he wanted “to go down that route”. The gardaí told Mr Valteris that they knew he was “bullshitting”, that they would “have to go to your house now and arrest your partner … She’ll be in custody”. 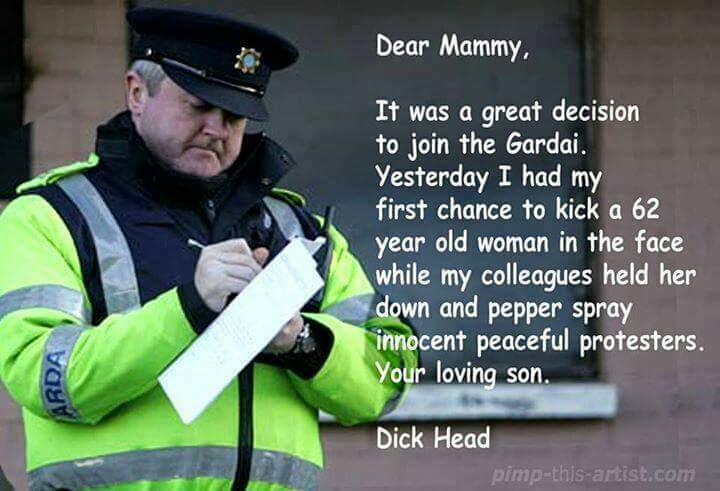 The gardaí were heard asking Mr Valteris: “Have we a deal or no deal … If we don’t (have a deal) I’m going to have to arrest your partner”. The complete tape was not played in court on Thursday. The Director of Public Prosecutions entered a nolle prosequi – a decision not to proceed on the charge – before the playing of the tape could be resumed in court today. On the fourth day of the trial, prosecuting counsel Mr Tony McGillicuddy BL told the three-judge court that the State was entering a “nolle prosequi” on the charge – in other words not proceeding with the prosecution – and Mr Valteris could be discharged. Ms Justice Isobel Kennedy, presiding, ordered that Valteris should be discharged. Mr Valteris, with an address at Park Vale, Grange Rath, Drogheda, Co Meath, had pleaded not guilty to the unlawful possession of a .32 inch auto (7.65mm) calibre IZH 79-8 model Baikal make semi-automatic pistol bearing serial number TPB358706 at Balmoral Industrial Estate, Navan, Co. Meath on June 10th, 2013. The court had heard that Mr Valteris operated a car sales depot at the Balmoral Industrial Estate. It was the prosecution case that he was observed by gardai arriving at the depot on the afternoon of June 10th, 2013. The court would hear evidence that Mr Valteris was seen going to an nearby yard where a red Fiat Ducato van was parked. A black VW Passat car came back to the yard and stopped close to where Mr Valteris was standing. A man was observed opening the boot of the Passat and then the car left the yard. The VW Passat was later stopped by gardai in Castlebellingham, Co Louth and a semi-automatic pistol was found wrapped in material in a box in the boot. During a later search of Mr Valteris’s yard €2,000 was found in another car. The prosecution alleged that Valteris had been storing the gun. 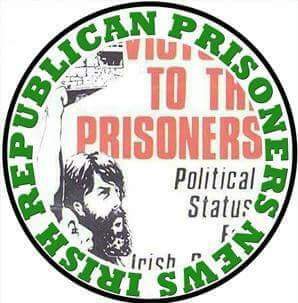 Author seachranaidhe1Posted on March 22, 2017 Categories Irish Republican Prisoner NewsTags "batch of four", "bullshitting", "nolle prosequi" not proceeding with the prosecution, "Vior dire", "we'll look after you", .32 inch auto (7.65mm) calibre IZH 79-8 model Baikal make semi-automatic pistol, 2013, 20th March, 33-year-old, accepted responsibilitary, after gardai threaten, Balmoral Industrial estate, bearing serial number TPB358706, black VW Passat car, border area, charges, Co Meath, court, cross-examination, Det Sgt Boyce, detective sergeant, discharged, Dissident republican, Drogheda, Eimantas Valteris, four silencers, Grange Rath, Hugh Hartnett SC, June 10th, Lithuanian, Mr Valteris, Ms Justice Isobel Kennedy, Navan, non-jury, Padraig Boyce, Park Vale, red Fait Ducato van, Special Criminal Court, Special Detective Unit, tape revealed, Three other firearms, Trail collapses, trial withdrawn, two gardaí on tapeLeave a comment on Trail collapses – After Gardai threaten Lithuanian on “dissident republican” charges, “tape revealed” in court on 20th March.